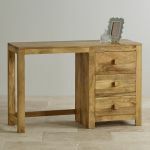 The Mantis Light Natural Solid Mango Dressing Table features a chunky, simplistic design which will enhance both modern and traditional homes alike. 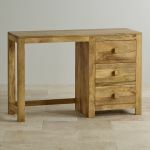 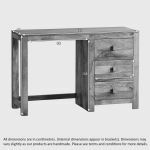 Handcrafted from the finest cuts of solid mango wood it has three generously-sized drawers to store any vanity accessories and a vast table top surface which will easily accommodate a mirror. 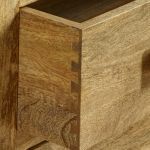 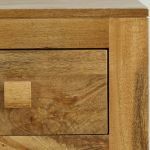 Each drawer is crafted using traditional dovetail joints with solid mango backs and bases and co-ordinating mango handles. 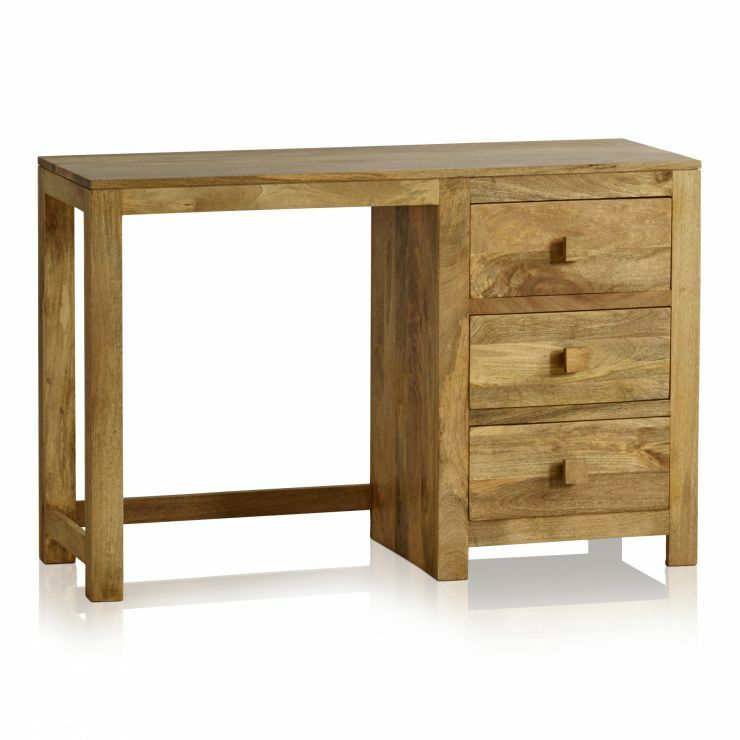 To enrich the grain and bring out the natural lustre of the mango wood, the dressing table is finished with clear wax furniture polish. 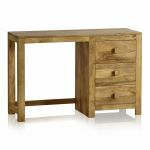 Browse the rest of the Mantis Light Mango range for more fully co-ordinating items - for every room in the house.